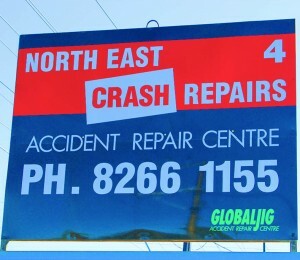 North East Crash Repairs for all your Crash Repairs Modbury. We specialise in Car History Checks. If you reside in Modbury, Adelaide and thinking of buying a used car, determining the history of your vehicle before purchasing it is very important. So often the team at North East Crash Repairs Crash Repairs Modbury have had customers who have brought vehicles in with pre-existing damage that is obvious to the experts at first glance that everyone else with an untrained eye would never detect. Not only is previous car damage an issue but in some cases vehicles can have finance owing on them. What does this mean to you, the new owner? Well it means your much loved new purchase car possible be repossessed leaving you without a car and no refund! There are two steps in obtaining a car history check. First of all, if you live in Modbury search for Crash Repairs Modbury, Adelaide and surrounding suburbs, such as Broadview, Greenacres, Golden Grove, Windsor Gardens, Glynde, Payneham, take your used car into North East Crash Repairs at Klemzig. It’s only a 16-minute drive and around 8kms from Modbury or even closer in the inner eastern suburb of Adelaide, South Australia. In floods, fuel tanks can be contaminated by water. This can cause the vehicle to stop running. Diesel fuel systems are particularly sensitive to water contamination. Written-off vehicles are classed by SA Government as either a statutory write-off or a repairable write-off. It is against the law to drive a written-off vehicle on the road unless it is a repairable write-off that is currently registered or has been issued with an unregistered vehicle permit or displaying a trade plate and the purpose for it being driven is for repairs or an inspection prior to registration. Under no circumstances can a statutory write-off be driven on roads. A motor bike that has been fully immersed in salt water, fully immersed in fresh water for more than 48 hours, has impact damage (excluding scratching) to the suspension at least 2 areas of structural frame damage. The illegal practice is unfortunately is very common in South Australia and Tasmania with odometer tampering in one in 100 vehicles according to consumer vehicle research site, carhistory.com.au It found that in the 12 months to the end of March 2012, 0.82 per cent of used cars checked on their website had their odometers wound back, representing tens of thousands of vehicles across the country. It is common to be found in reports that every state has undetected groups of shonky sellers evading detection and prosecution for misrepresenting odometer readings. "Many sellers fail to provide statutory warranties, falsify log books and other documents to car buyers," he says. "No one wants to buy a car to find out in the next few months that they've been ripped off, the warranty is void or they are having issues due to the vehicle's extensive use." Individual offenders face up to two years in jail and fines of $40,000 to $60,000, depending on the state, while organisations face fines of about $200,000. Clocking can also endanger lives, with mechanical issues more likely to be overlooked with owners misinformed about the regular service needs of their car, he says. "Owners are also clearly getting ripped off, paying too much for their car, as well as having to deal with more common breakdowns due to extra wear and tear of their vehicles. Authorities also warn that if buyers do not check the odometer reading when they buy a car, they could be accused of being the "clocker" if they sell the car later on and the new buyer finds it has been wound back. Contrary to the belief of many motorists, modern digital speedos are not tamper proof. Software is available over the internet that can "wind back" the odo reading on a digital speedo. Personal Property Securities Register Check (PPSR was previously known as Register of Encumbered Vehicles or ‘REVs’) which determines whether the vehicle is associated with any debt. If the information is available, the team at Crash Repairs Modbury and North East Crash Repairs will also include previous sales listings, safety and emission ratings, registration details, valuation details, and vehicle description details. Secondly, it is vital to have a specialist check over your vehicle as not all accidents are able to be claimed through insurance and therefore recorded. In addition, cars older than a certain age do not need to notify the Department of Transport (DPTI) when they are written off. A few of the imperfections a North East Crash Repairs expert would analyse are slight differences in shades of the paint, a different sound when the car is tapped which indicates bog has been used to fill damaged panels, and if the chassis has been bent. 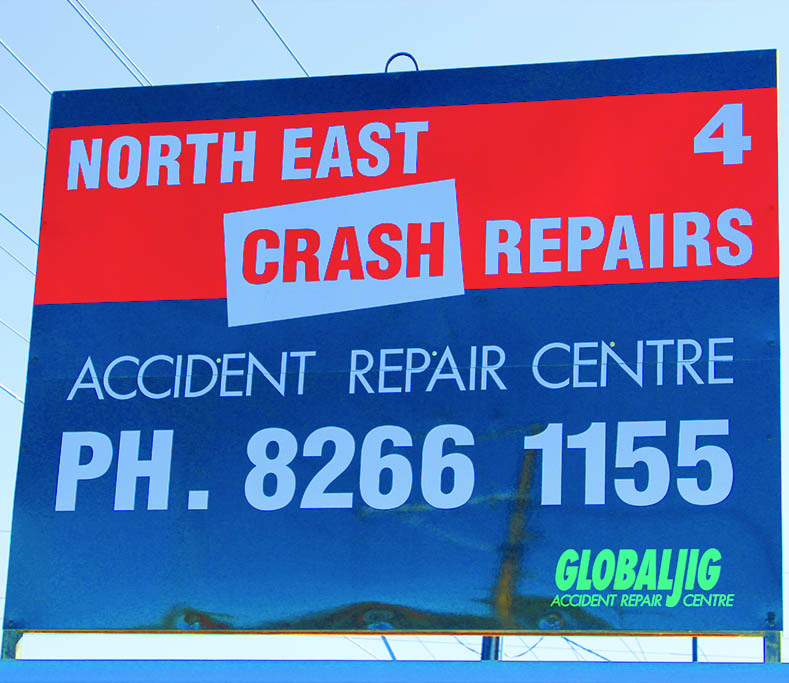 North East Crash Repairs are recommended RAA of SA Authorised Crash Repairers. As an Authorised RAA Crash Repairer, they abide by a strict code of practice. They are also members of the MTA of SA so you can be assured you are dealing with a quality and reliable organisation. The Motor Trade Association of South Australia (MTA) is the peak body for the retail motor industry in South Australia and is the only employer-based organisation in the State dedicated to protecting and preserving the interest of the retail motor industry. As a member of MTA, North East Crash Repairs abide by a strict Code of Conduct to maintain the high standards of our profession. In summary, purchasing a used vehicle is for many people, one of the biggest investments you will be making. It makes sense if you live in Modbury and surrounding areas, to organise a car history check by the qualified team at North East Crash Repairs Crash Repairs Modbury before making the final purchase!